If you were among the first people to pick up THQ's Darksiders, you will have noticed a coupon inside the box, with a code on it and instructions to hang onto it. Hope you did. 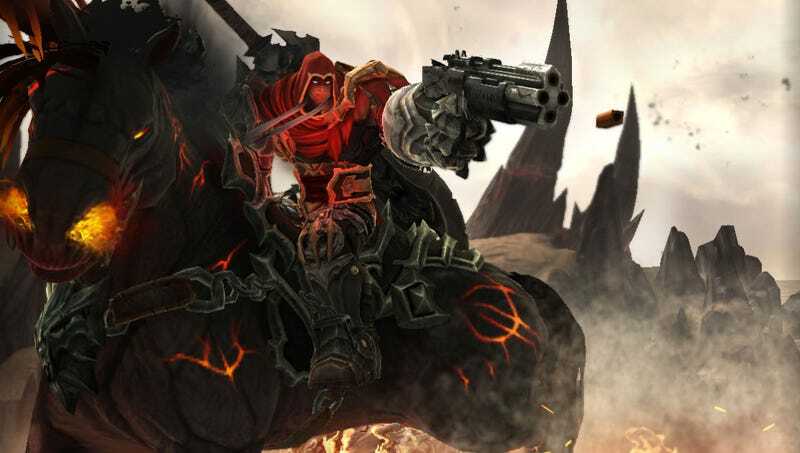 Because the publisher finally got around to finding a use for them today, announcing that those who still have a coupon in their possession can redeem the code for a "digital Hellbook disc featuring Darksiders art, videos, and other awesome stuff" and, better, a "free" copy of the awesome Red Faction: Guerilla. It's not even a digital copy; you'll get a box and everything. Course, it's not 100% free, as you'll need to pay $5 postage, but still, $5 for Red Faction is a steal. One disclaimer, however: it's available to US residents only, and you need to redeem it by March 7.